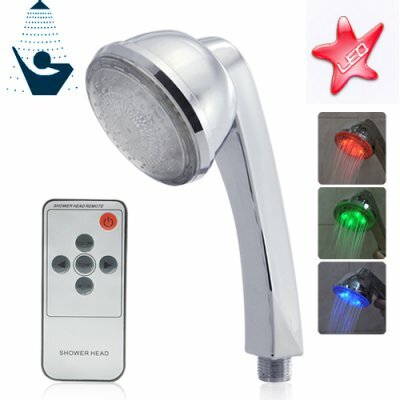 Successfully Added LED Color Changing Shower Head with Remote to your Shopping Cart. Note: This great new product is factory direct low china wholesale price and we'll even dropship it to your customer. As always, it is in stock in our warehouse and is available for immediate shipment. Click "add to cart" to order yours today. Nice and beautiful gadget.I dont use the lights when i take shower.Cool item. The metal marts sholdt be manufactured from non-corosiv material.After a while apears rust. on 2010-03-04 22:12:16 Too creative!! I am buying these for re-selling purposes but am definitely purchasing one for my own use! I can't wait to get these, Chinavision, where have yous' been? I don't even know how I found your site now but am so stoked that I have! !